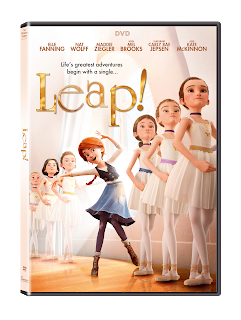 One Momma Saving Money: LEAP into the New Year with a great movie #LEAP! 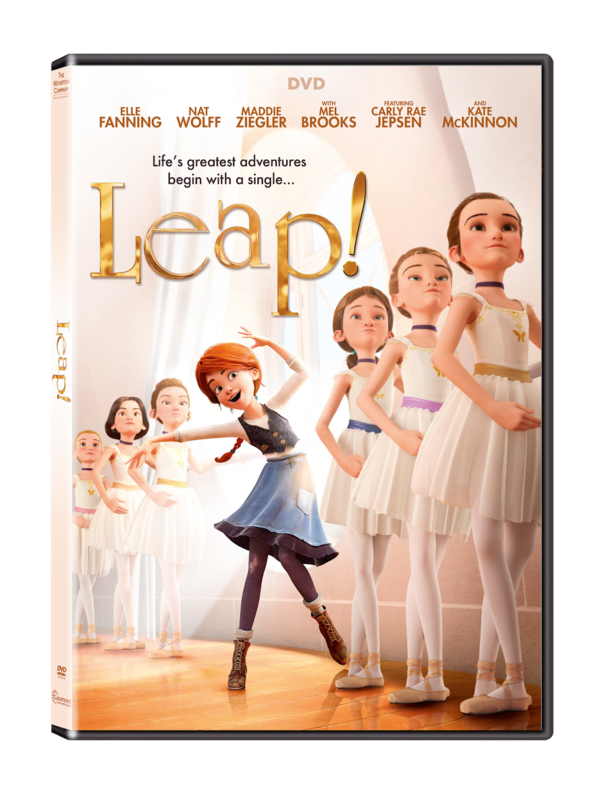 LEAP into the New Year with a great movie #LEAP! Eleven-year-old orphan Félicie (Fanning) has one dream — to go to Paris and become a dancer. Her best friend, Victor (Wolff), an imaginative, exuberant boy with a passion for creating, has a dream of his own — to become a famous inventor. In a leap of faith, Victor and Félicie leave their orphanage in pursuit of their passions. But there’s a catch: Félicie must pretend to be the child of a wealthy family in order to gain admittance to the prestigious and competitive Opera Ballet School in Paris. And with no professional dance raining, she quickly learns that talent alone is not enough to overcome the ruthless, conniving attitudes of her fellow classmates, led by the devious Camille Le Haut (Ziegler). Determined to succeed, Félicie finds her mentor in the tough and mysterious school custodian, Odette (Jepsen), who, along with Victor’s encouraging friendship, help her reach for the stars. An animated adventure the whole family will enjoy, the Leap! home entertainment release includes a behind-the-scenes video gallery and a look at stars Kate McKinnon, Nat Wolff, and Maddie Ziegler in the recording booth. Purchase Leap! on Amazon for $19.99 (Blu-ray), $13.00 (DVD) and $9.99 for Digital HD. This is truly one of the best animated movies I have seen in a while. The story was a beautiful tale of a young girl who dreams of becoming a ballerina some day. A young orphan girl and her friend who run away from an orphanage to live out their dreams in Paris. While she dreams of being a ballerina, he wants to be an inventor. Within days of arriving in Paris they both find themselves on the paths to fulfilling their dreams through various circumstances. This film has such a great story-line and meaning! It reminds children to never lose sight of their dreams and if we want them bad enough, anything can happen! I don't want to give away too many spoilers, but this is definitely an amazing film. Reserved. Package Design © 2017 Lions Gate Entertainment Inc. All Rights Reserved.